I’ll Let You In On a Well Kept Secret! The first question homeowners ask when having their carpets professionally cleaned is… “how long will it take for my carpet to dry”? Let’s face it. It is extremely inconvenient to have your carpet soaked and wet for hours. No one wants to deal with that. Add to that, hoses run through your open front door and around your house with walls and baseboards being scuffed. Often after the carpet finally dries you see the stains and spots re-appear. Many people believe that once they steam clean their carpet it will always re-soil faster. It is no wonder homeowners put off having their carpets cleaned! Have you looked at the condition your carpet is in? Modern carpet designs and colors can hold up to a pound of dirt per square foot. The dirt and grit in your carpet will damage the fibers over time. The damaged fibers will not reflect light as they once did. This will cause dirty grey traffic trails in your high traffic areas. Once the fibers are damaged, no amount of cleaning will restore their clean new look. It is a fact that your carpet is the largest air filter in your home. Your carpet captures dirt, dust, allergens, pollen, and other impurities from the air. Having your carpets professionally cleaned will keep the air quality in your home healthy. If you have noticed your carpets needs a good cleaning, so have your house guests. Now for the well Kept Secret! It is NOT necessary to soak your carpet to deep clean it. Hot water extraction carpet cleaning has been around for decades. It is yesterday’s technology. Today we have a patented machine that can aggressively agitate each carpet fiber to deep clean without damage to the fibers. Today we can clean with SIGNIFICANTLY less water and have your carpet ready to live on in about an hour. Today we use a machine that is self-contained. We do not drag hoses through your front door and around your house. You can have your carpets cleaned on the hottest day of summer, or the coldest day of winter because we do not leave your doors open. Since we do not soak your carpet, stains do not wick back and re-appear. Finally, and maybe best of all. Today we no longer use soap. Modern low moisture cleaning chemicals are 96% bio-degradable. They leave NO sticky residue that causes re-soiling issues. They leave carpets cleaner longer and are safe for children, pets, and the environment. Have you heard what homeowners and business owners who have used this process are saying? Thank you Crystal Clean Carpets! I can’t believe how great my carpets look. There were stains on the bedroom carpets that had been there for over a year and you were still able to get them out. I am also impressed with how quickly the carpet dried. I will be recommending you to all my friends. You are magic. You got stains out that no one else could. We thought we were going to have to replace the carpet in several offices, but you made it look great. I honestly thought we would have to replace the carpet in the whole house. I can’t believe what you were able to do. It looks great and the stains did not come back. The fast drying time is a real plus. I tell everyone about you. Just amazing. Bet it costs more, huh! Well that’s what you might think, but actually this process is competitive with the hot water guys. What a great deal! Better clean, 1 hour dry, and no re-soiling problems due to soap residue. All these benefits without paying a hefty premium. Pick up the phone RIGHT NOW, 417-291-1172. It is easy to schedule a no obligation review of your carpets and get a price quote to restore them to a condition that will make you proud of the appearance of your home. Crystal Clean Carpets is so sure that we can offer you the best carpet cleaning that you have ever experienced that we offer an absolute, no question, full guarantee. If you are not satisfied with the deep cleaning that we provide, you pay nothing. We have never yet had to use this guarantee, but we want you to know that you are completely covered. Oh yes, and priced comparable to the hot water boys that soak your carpets, leave your doors open, scuff your walls, and let stains bleed back. What’s not to like? Call Today! I will personally take your call and schedule your appointment. Or, fill out the contact form on the homepage. I'll get back to you. More from your neighbors who have already experienced this revolution in carpet cleaning! Great service, very prompt. We had stains in the living room and hall that had reappeared after prior cleaning. We were concerned that you could get them out and they’d not come back. Excellent results. We told our son about you. He’ll be calling you soon. Had many stains, traffic trails and dogs you did good. Crystal Clean Carpets is a owner operated company. I personally will take your calls and insure your complete satisfaction. 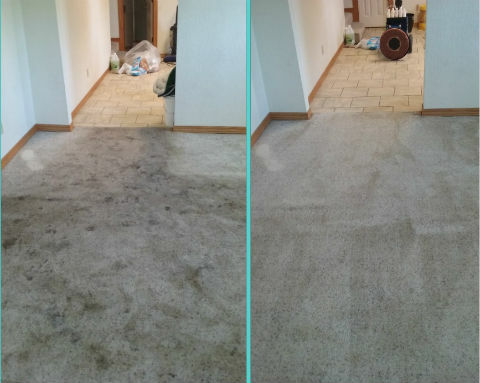 We are the premier low moisture carpet and upholstery cleaner for Joplin, Carthage, and the surrounding area in Southwest Missouri. 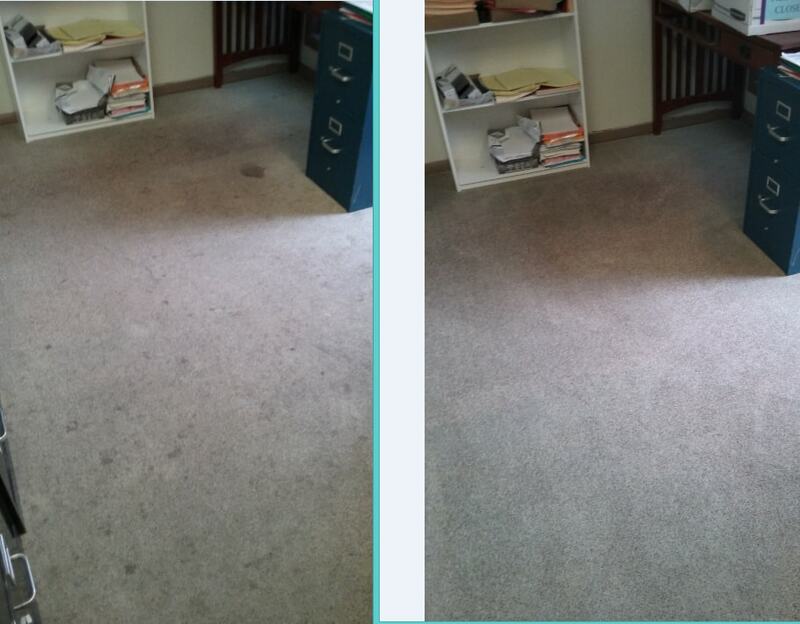 Our low moisture system deep cleans carpet and upholstery with 1-hour drying times and no wick back of stains. Our process leaves NO soap residue to cause re-soiling issues and is completely safe for children and pets. We do not drag hoses through open doors and around your home to mar walls and baseboards.